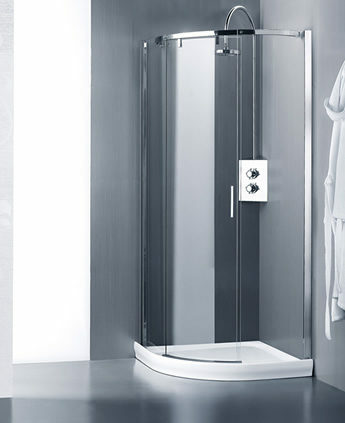 Round suspended sliding wall with international Leak Free® patent, which eliminates all contact points between the enclosure and the shower tray. An innovative system for easier and improved cleaning and maintenance. The curvy glass, along with utmost hygiene, is rewardingly cosy, the innovative Leak Free® system separates the enclosure from the tray, preventing bacterial load, mildew and limescale build up in parts that are usually difficult to clean.